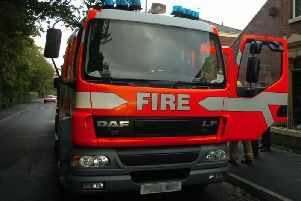 Fire crews were called after a tractor burst into flames in a field. Firefighters from Garstang and Lancaster were dispatched to the incident in a field off Lancaster Road, Cockerham at around 5.30pm on Saturday. Two jets and two breathing apparatus sets were used to extinguish the fire. No injuries were reported.